The Uyuni Salt Flats is undoubtedly the most well-known destination in Bolivia, and certainly among the most famous in South America. This is for good reason, as the sheer vastness of the crusted salt floor stretches far into the horizon for thousands of miles, making for an epic panorama that prompts the dropping of jaws every time. Yes, the snow-white landscape of the Salar de Uyuni is a much-cherished stop on journeys in South America, but for those who haven’t been and are thinking about planning a Bolivia trip: what do you actually do in Uyuni? Where do you stay, eat, and where else can you go on your visit? Fear not, as we’ve compiled all the answers right here on our Uyuni travel guide, so you can start making that dream trip a reality. What are the Uyuni Salt Flats? Sprawling across 4,000sq miles in the southwest of Bolivia, at around 12,000ft above sea level, the Salar de Uyuni (Uyuni Salt Flats) are the largest and one of the highest of their kind in the world. Sparkling in the sunlight and encircled by Andean mountains and volcanoes, the pure white salt crust is a stunning sight that is actually comprised of dried up prehistoric lakes, at least 10m thick and consisting of around 10 billion tons of salt. At certain times of year, a thin layer of water gathers on top of the salt creating an enormous mirror effect, blurring into the horizon itself; quite the sight to behold, not to mention an incredible photo opportunity! Touring the plains, you will find obscure rock formations, exotic lagoons of varying hues and the powerful geysers of Sol de Manana Fumaroles. The Uyuni Salt Flats are also home to three species of the famous Pink Flamingos of Laguna Colorada, found within the Eduardo Abaroa Andean National Fauna Reserve. 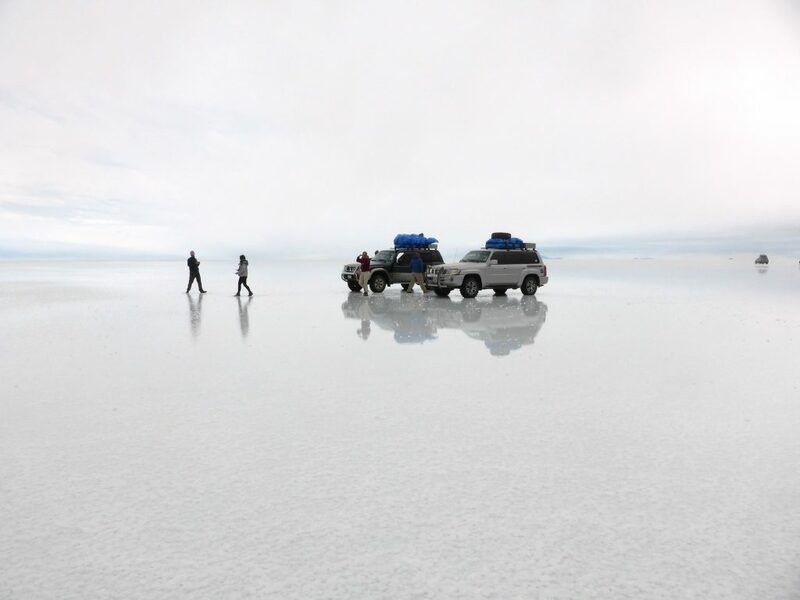 The best way to explore the Uyuni Salt Flats is on a 4×4 tour, taking a full day to journey into the awe-inspiring, dazzling white landscape. Take some all-important photographs and have a go playing around with the perspective, as all is not as it seems on the camera! A good Uyuni tour will then incorporate a stop at Incahuasi Island, a cluster of cacti in the middle of the desert flats that doubles up as an ideal picnic spot. Afterwards, listen as legends and local traditions are regaled while you discover the ‘Devil’s Cave’ and ancient cemetery of a pre-Incan tribe. 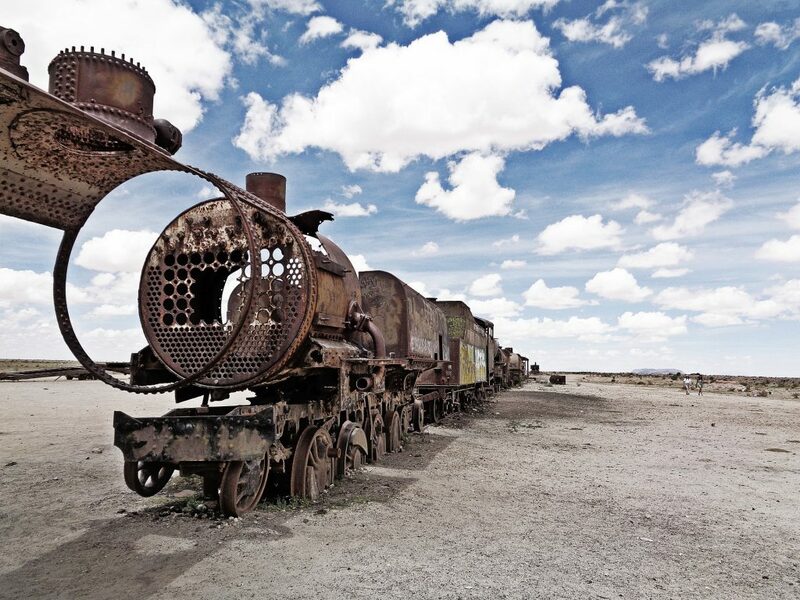 What’s more, for something completely different, pay a visit to the Uyuni train graveyard; not exactly something you would expect in such a remote location as this. These giant engines were abandoned after a railway project was cut short and slowly, the salt in the atmosphere is causing them to rust leading to something of a sublime beauty. 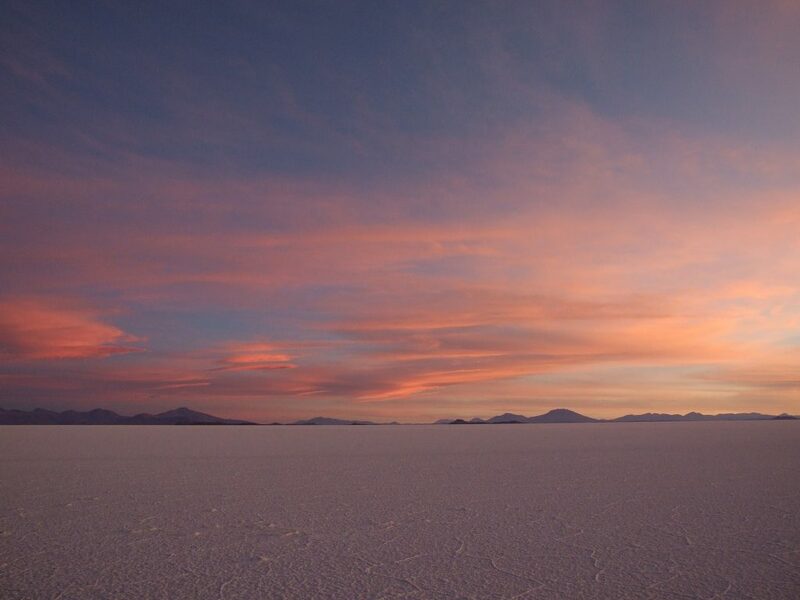 As the day comes to an end, head out at dusk on a tour of the Uyuni Salt Flats to witness the sunset and stars. Your guide will pick you up and take you to a privileged lookout point to watch the sun dip down in the distance, as the stars slowly make themselves known. Thanks to the lack of light pollution here, you really will be treated to an astronomical show like no other. What better way to end a day in such unique place? Clearly, once on the salt flats you won’t come across cafés, restaurants or even a cheeky street vendor. 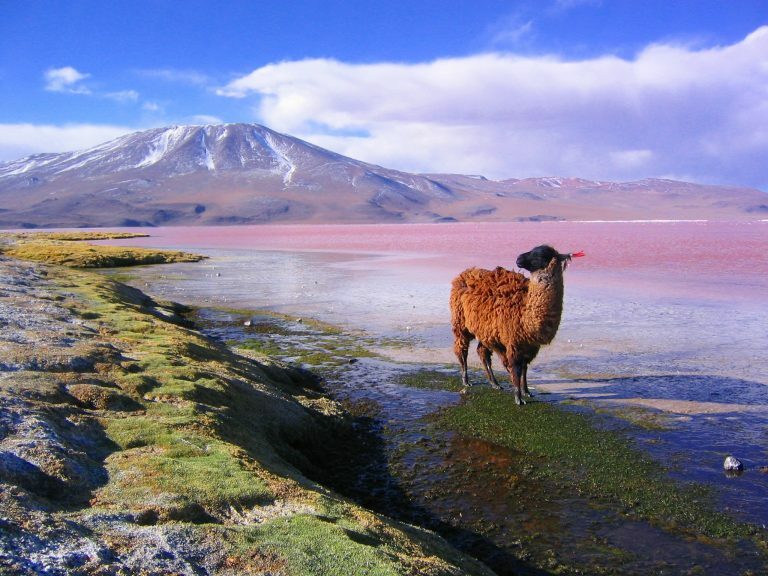 However, in the city of Uyuni all your needs are taken care of. Surprisingly, Uyuni is home to around 30,000 citizens and, as gateway to the salt flats and the Siloli Desert beyond that, it acts as a good launchpad for tourists. From European staples to more local delicacies including Llama; whatever you fancy tucking into, you’ll find it here. As close to fine dining as you can get in Uyuni, Tika is an excellent restaurant whipping up a wonderful mix of cuisines in an elegant setting. Tuck into imaginative Bolivian dishes that put a new spin on classic recipes, like grilled beef medallions with bacon and sweet potato mash, and follow with a tantalising dessert such as quinoa ice cream with coconut, almond and chocolate drizzle. There’s also Minuteman Revolutionary Pizza, serving up mouth-watering, dough-based delicacies that are well deserved after hours spent out on adventures in the salt flats; this is a pizzeria that prides itself on the quality of its food! 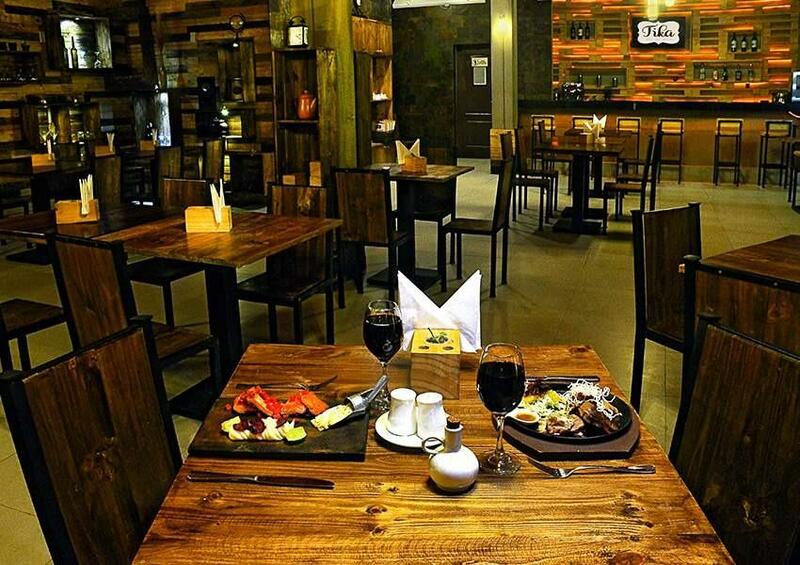 Or, if you wish to try some rustic regional flavours, head to Lliphi with its relaxed, bistro-style ambience and healthy bowls of quinoa, tasty tortillas and steaming mugs of tea in a range of flavours; delicious. 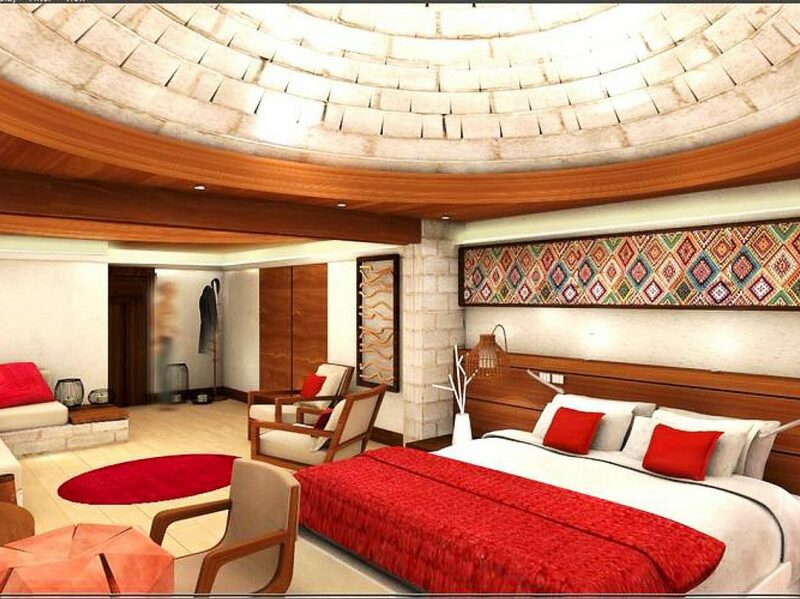 For a rather authentic experience, why not stay at a Uyuni hotel that’s made completely of salt? The award-winning Palacio de Sal was the first hotel of its kind, built from top to bottom using the local resource: think grand entrances, domed ceilings and salt-carved furnishings. A great place to kick off your Uyuni adventure, you can even indulge in a massage or two at the spa before you head off into the wilderness. If you would rather opt for something with a little Andean charm, perhaps look at Jardines de Uyuni. Located in the city centre, this quaint hotel blends rural Bolivian style with all the modern-day conveniences that the discerning traveller would require. To round off your time here, escape the city and spend the night in total isolation – your accommodation in the form of a Vintage Airstream Campervan on the salt flats themselves. These futuristic mobile homes are the perfect place to stargaze with a glass of wine in hand, and also provide an exclusive vantage point to watch the sunrise the following morning; definitely giving you something to write home about. So then, once you have truly experienced the Salar de Uyuni and everything it has to offer, where to turn next? The Siloli Desert is certainly a top choice, as this vast landscape is far more than just endless sand dunes; it’s also home to a number of unusual creatures including the cute Viscacha and the wily Andean Fox. 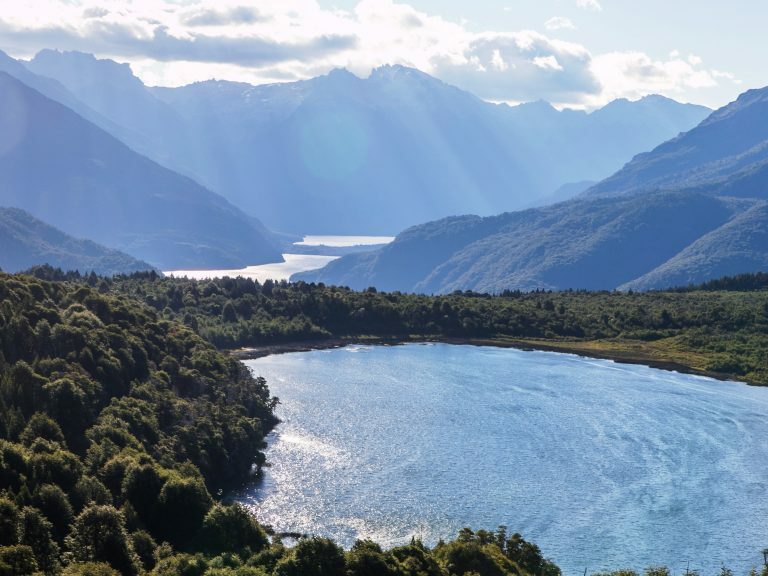 Travelling further across the country, the vibrant cities of La Paz and Sucre both boast museums full of fascinating artefacts, leafy parks in which to wander and their own enticing appeal. Finally, it goes without saying that a visit to Bolivia is not complete without taking a trip to the mythical waters of Lake Titicaca. When compared with the salt flats it is an excellent example of how extraordinary this country really is, with so many differing environments. If this has inspired you, why not check out our blog about the wildlife of Bolivia to complete the picture! 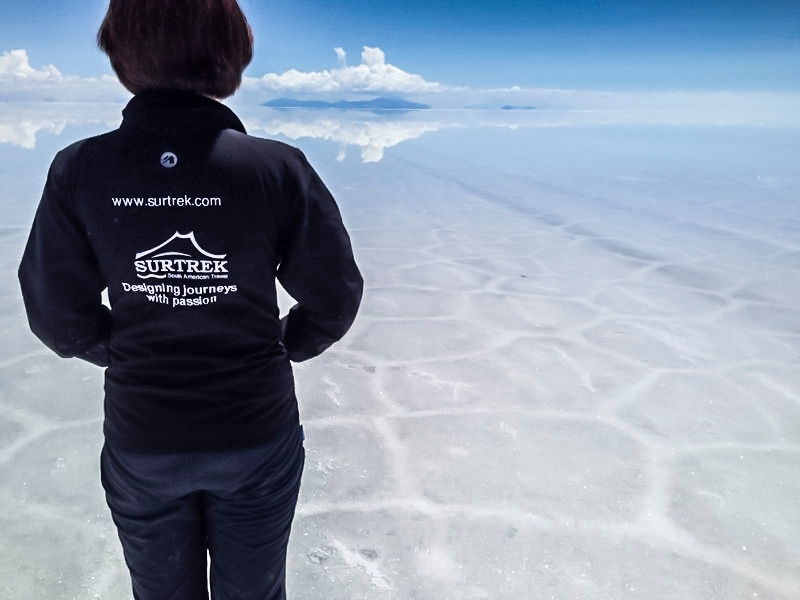 Ready to start planning your Uyuni adventure? Personalise your Bolivian itinerary with Discover Your South America: you can handpick the hotels and activities you want, adjust the durations depending on how long you want to stay in each place, and have fun in the process! Need help? Surtrek is always at hand to help out. 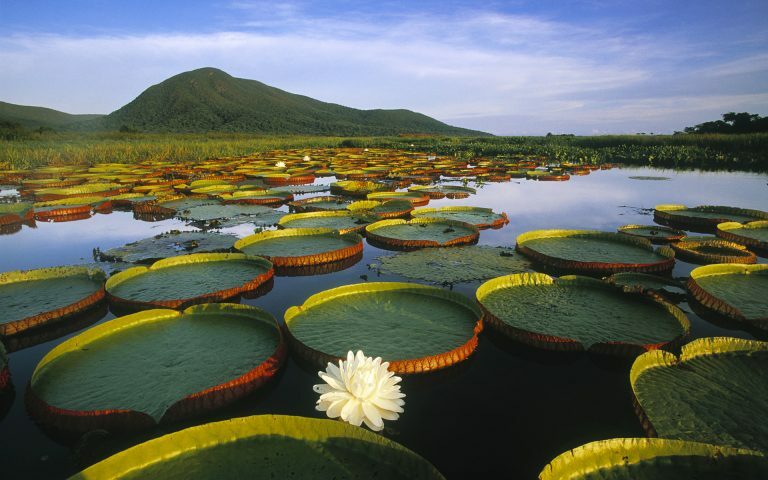 Call us on 1 866 978 7398 (Canada and USA) or 080 8189 0438 (UK) to talk to an expert, and Discover Your South America with Surtrek!